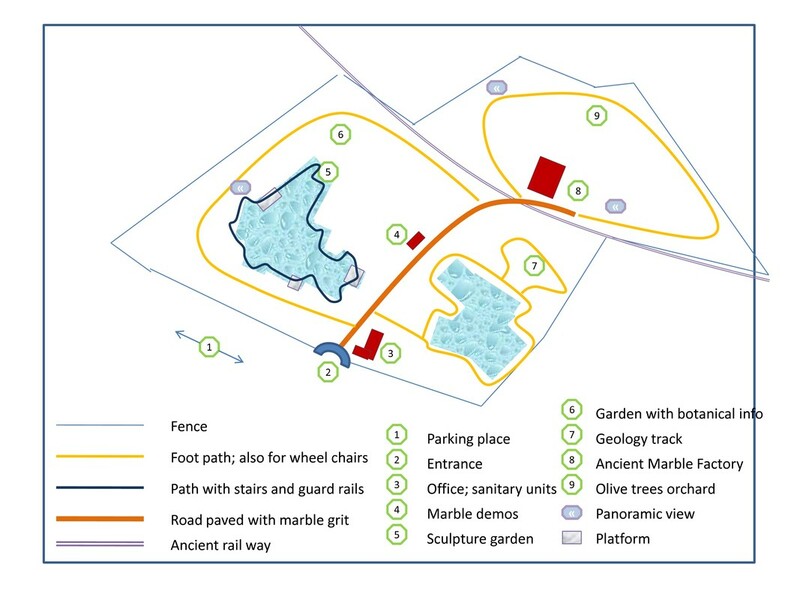 A plan was developed to upgrade an abandoned quarry towards a thematic park, with attention to culture, education, leisure and promotion, all focusing on marble. The proposal was ranked as the best in PROVERE Zona dos Marmoros, a program on rural development. The financial basis was solid and foreign business cases were promising. But the project was too innovative and conflicted with other priorities on municipal level. The proposal is now waiting for better conditions and possibly new project partners. Some highlights of the project proposal are presented here. More info both in English and Portuguese is available at OBRAS. Luís Pereira (Câmara de Estremoz), António Pliz (formerly CEVALOR, currently Vista (Holland)), Ruben Martins and Luìs Lopes (Geoscience Department University Évora) and Igor Reinhart (free lance consultant Public Private collaborations (Switzerland).